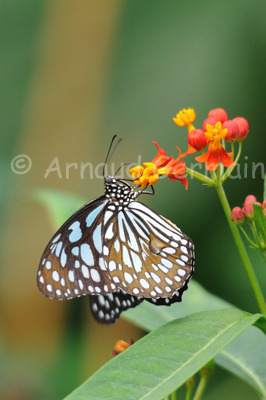 In the butterfly exhibit in London zoo, I spent a lot of time admiring the different species flying about. When this one landed on a flower to feed, I grabbed the opportunity to snap a few shots. I did not have my macro lens with me, so had to make do with the telephoto lens. Nikon D700, Sigma 150-500mm OS at 450mm, F6.3, 1/1000s, ISO 1600.